We all have our go-to summer essentials: sunscreens, self-tanner and lip balm. But sometimes a girl's gotta throw necessities to the wind (still keep that SPF though), and splurge on a few beauty indulgences. These products will give you a little something extra this summer, from a revolutionary de-frizzing hair serum to coconut water face wipes. 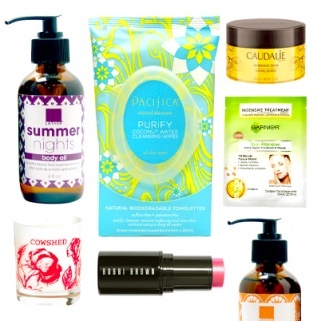 Find out which new tropics-and-sunshine-inspired products made our must-have shopping list.